M Tunes is India's first Bollywood music channel in HD (High definition) with 5.1 surround sound. Although M Tunes TV channel available on DD Free Dish in standard definition. 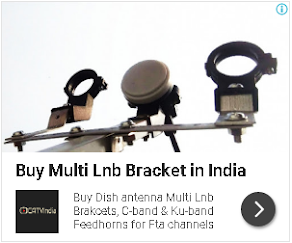 If you are not getting this channel then you can tune your DD Freedish set-top box at this frequency. This channel also available on TATA Sky HD at channel no.666, TATA Sky SD at channel no.665, Airtel HD at channel no.391, Airtel SD at channel no.390, Videocon SD at channel no.525, Dish True HD at channel no.89 and Big TV HD at channel no.715. Awesome! What a great change!